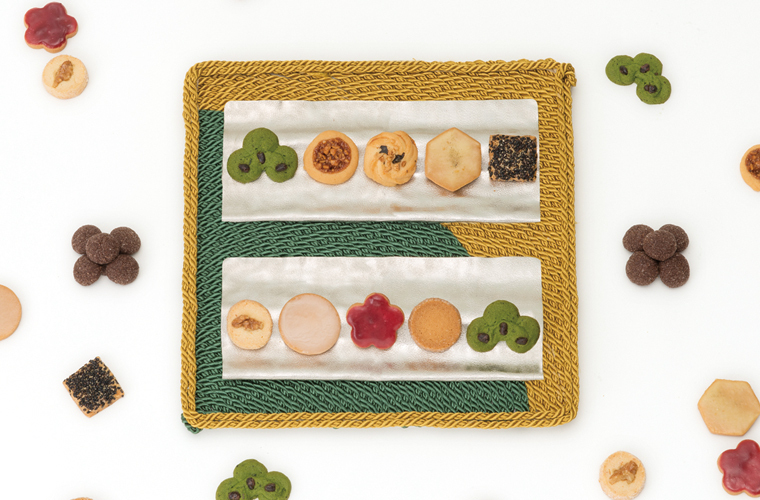 Hanakurumi is based on a traditional Swiss confectionery 'Engadiner' cookie sandwich. 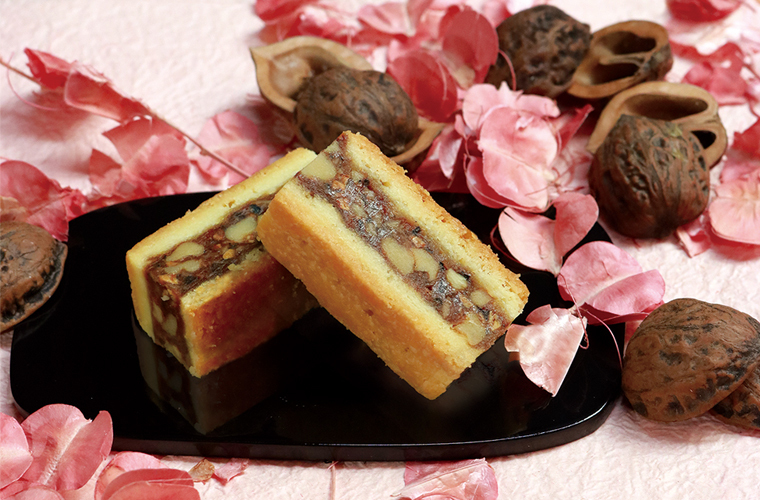 For our characteristic, walnut and black soybean are kneaded in caramel. The colorful and pretty image of was expressed with Sable. Various flavors come in an assortment like a jewelry box. 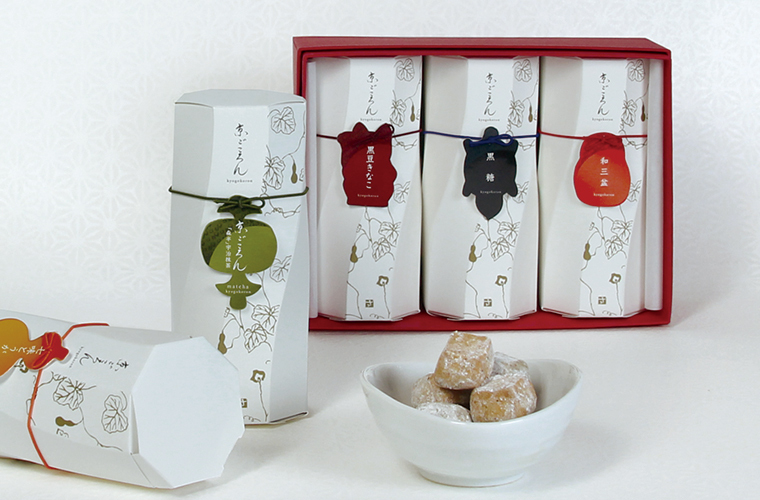 Enjoy the sweets in a decorated box with a lucky mallet, daruma doll, gourd, turtle, or beckoning cat, which are thought to be lucky charms in Japan. 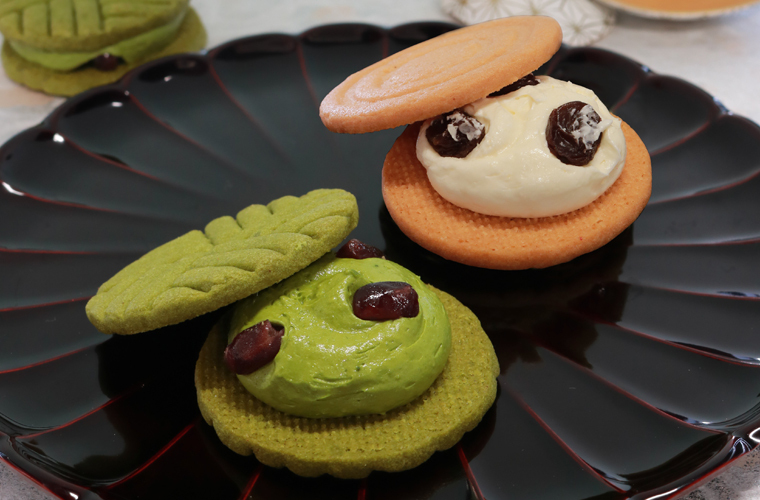 Sandwich cookies with mild matcha buttercream filling and rich taste rum raisin buttercream filling. 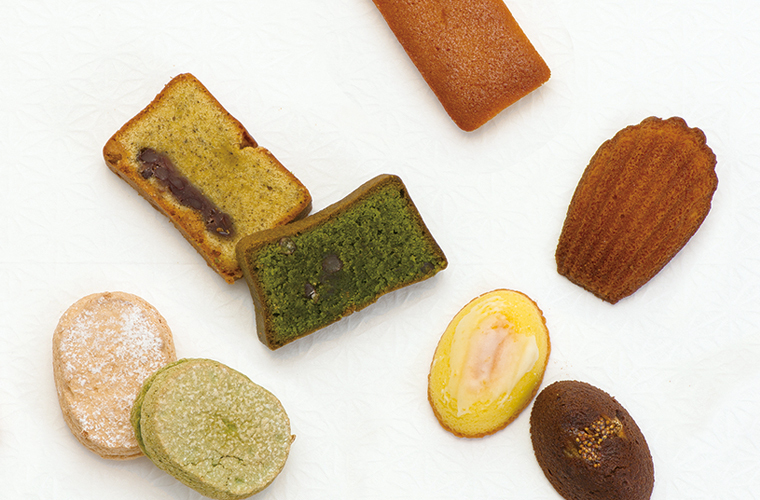 We have 6 pieces assortment box. 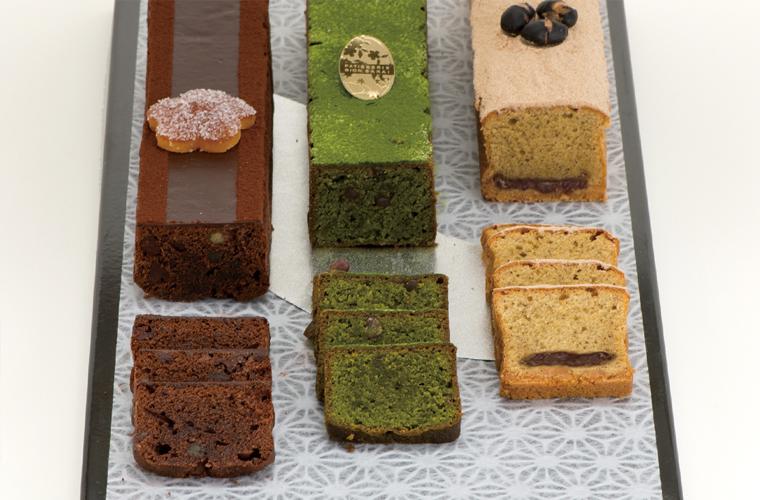 Rich taste MATCHA, KINAKO and Chocolate orange poundcake. Each of them are moist and flavorful. It is an assortment of baked sweets enhancing the scent by maximizing the flavor of the ingredients. This assortment comes in different sizes to meet your needs.